Our first book printed in full color! Introducing the fifth volume in the biennial series entitled Advances in Medical Physics. Advances in Medical Physics (AMP) is designed to help medical physicists and technically inclined physicians stay current in medical radiation science and technology. 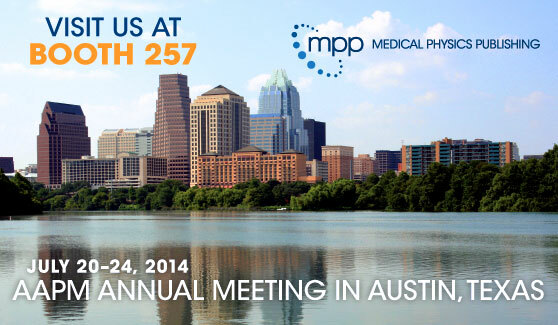 AMP 2014 contains an expanded focus on radiation oncology topics, including the new GammaPod 60Co device for breast radiosurgery, the allure of targeted dose enhancement via gold nanoparticles, strategies and devices for respiratory motion management, proton therapy fundamentals, and novel high-resolution 3D dosimeters for the verification of complex treatment plans. 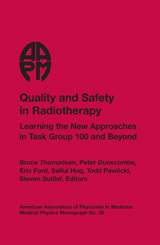 Additional chapters highlight the role of the ICRP and IAEA in medicine, a review of currently available passive dosimeters, novel x-ray photonics and phase contrast imaging technologies, state-of-the-art PET and cardiac SPECT implementations, the fundamentals of parallel MRI, and advanced MRI sequences, and the first part of a suggested road map for teaching MRI to physics and engineering students. 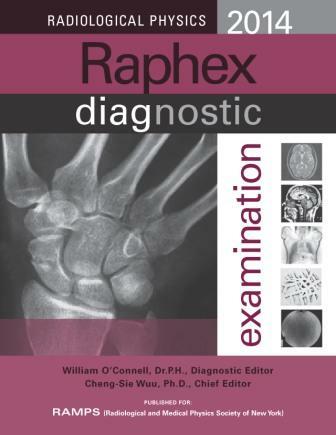 The Raphex 2014 Diagnostic exam has image-based questions to more closely match the expected format of the new American Board of Radiology (ABR) Diagnostic Core Exam. This booklet is a useful advance study guide or practice test for the 2014 ABR Exam. 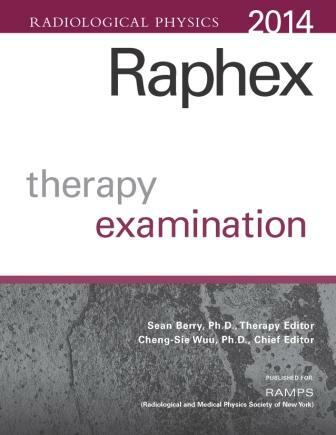 The Raphex 2014 Therapy exam includes newer topics in IMRT, VMAT, IGRT, SBRT, plus other new technologies. Traditional topics in previous exams are still covered. The exam matches ASTRO's current physics curriculum guidelines for resident instruction. The evidence is growing that the improvements in imaging, along with increasingly conformal radiation treatments, are providing significant benefits for patient outcome, both in terms of tumor control and reduced normal tissue complications. The challenge is for medical physicists and radiation oncologists to stay "in tune" with these rapidly changing advances that provide a better quality of life for patients. The goal of The Modern Technology of Radiation Oncology is to provide state-of-the-art, updated information on making these technologies available in the clinic. 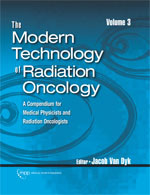 Medical Physics Publishing is pleased to introduce volume 3 of The Modern Technology of Radiation Oncology. The series has become a reference around the world for practicing medical physicists and especially for the medical physicists who will be taking their certification exams. 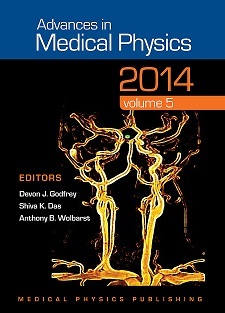 Medical Physics Monograph #36 was written for the 2013 AAPM Summer School in Colorado Springs, Colorado. Task Group 100 examined quality and safety techniques that have proven effective in industry and, more recently, in many medical disciplines. These techniques consider not only QA for equipment, but also for procedures as a whole in the context of the facility. These approaches and methodologies may be new and somewhat daunting to many practicing medical physicists. The goal of this book is to make these new techniques accessible to the broader medical physics community. The text features practice exercises that reinforce the concepts learned in the book. It also includes a CD containing the text, large tables, and many of the book's images in color.